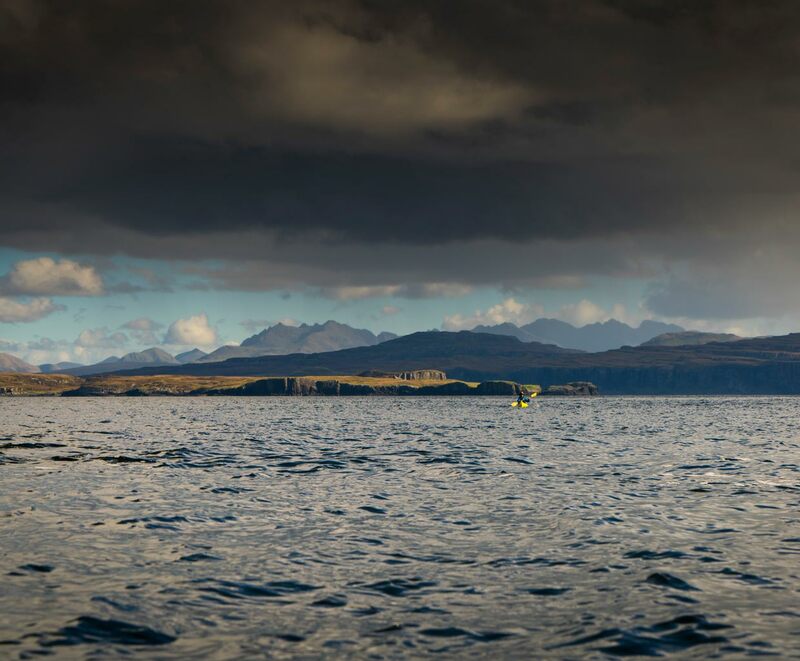 WHAT TO EXPECT The Isle of Skye really needs no introduction - look at a map of the West coast and the jagged fingers of the Isle of Skye stand out a mile - I don’t know about you, but to us it just looks so inviting to explore with a sea kayak! This trip lets you do that with only taking a single day off work - return to the office on Tuesday morning with an epic story of a Wilderness found. 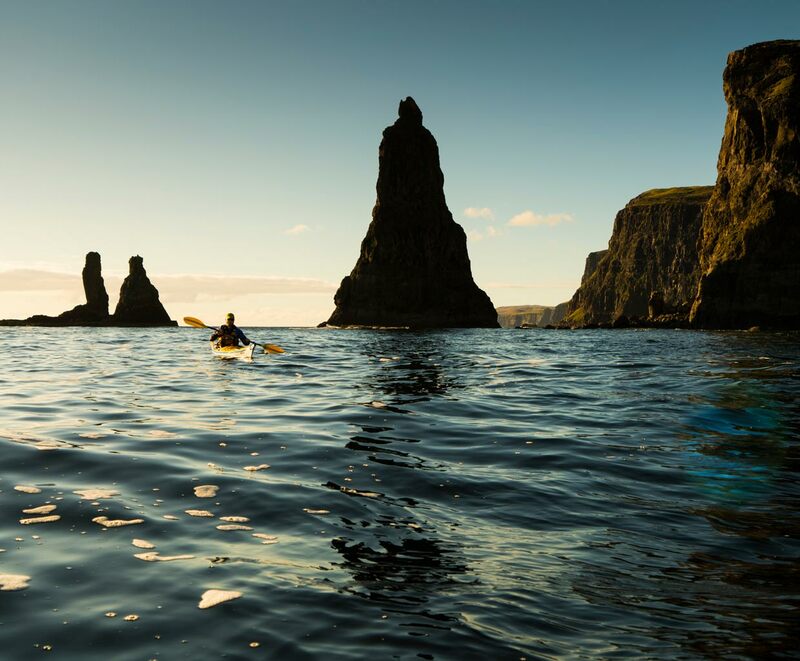 TRIP HIGHLIGHTS A 3 day kayak expedition exploring remote sea Lochs on the Isle of Skye, the perfect journey if you have some sea kayak expedition experience and are wanting to test your skills. Journey in Loch Bracadale - home to towering sea stacks, sea caves and remote uninhabited islands. 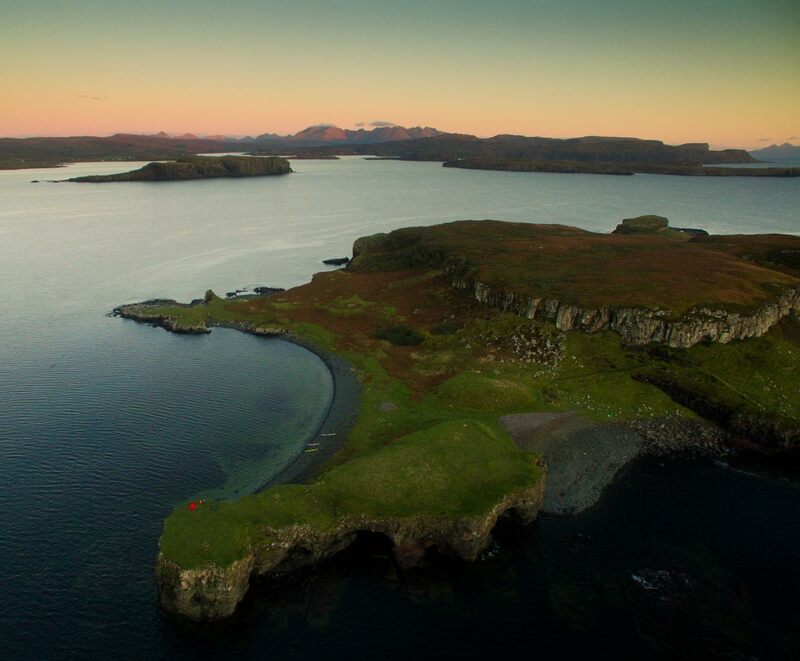 Watch the sun go down from our wild camp on an uninhabited island. Look for White Tailed Eagles taking off from the cliffs above. *FINDING REMOTE - It’s a short drive from Arisaig to the ferry to the Isle of Skye. We’ll make a short journey on Skye to our kayaking location - primarily Loch Bracadale but potentially other places depending on conditions. The day will be spent journeying in sea kayaks along remote coastline - doing exactly what a sea kayak was made for! 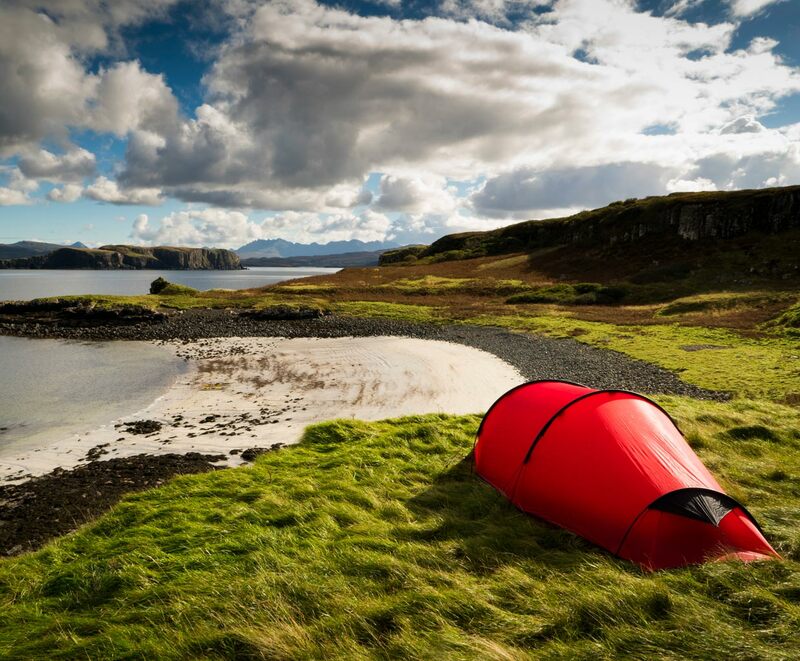 We’ll choose to camp somewhere amazing - the uninhabited islands in Loch Bracadale are just made for this, imagine having our own private island for the night. *WAKE UP IN THE WILD - We’ll wake in a beautiful, wild setting. Breakfast and packing up the boats won’t be rushed - we’ll spend time just savouring the experience of being here. Once on the water we’ll explore some more before heading back. We’ll reverse our route home - we can wave goodbye to the Isle of Skye from the ferry, until next time that is. ACCOMMODATION For this trip we will be wild camping. Tents can be provided (see kit list for full details), if booking as an individual you will not have to share a tent. FOOD Includes meals - lunch on day one through to lunch on day 3. We can accommodate any dietary requirements if notified in advance. START AND FINISH Meet at Arisaig at 08.30, or Broadford on Skye at 10.45. Finish at 16.00 Broadford, 18.00 Arisaig. GROUP Up to 4 people with one guide, or 8 people with two guides. KIT LIST Our expedition kit list applies to this trip. All specialist kayaking equipment and camping equipment can be provided. TRIP GRADE This is an expedition style trip, we will paddle variable distances each day depending on conditions but these could include days of up to 15 - 20km. The area we intend to paddle in is open to the wind and swell from multiple directions and so it is very likely that we will experience wind and waves at some point in the trip. If conditions aren't suitable for our intended route then we will paddle in an alternate, more sheltered location.